Yah it’s Friday! Big plans for the weekend? Do you know what to make for dinner? It’s the weekend and you want it to begin with a quick and healthy dish that is a snap to put together. Why waste your Friday over the stove cooking or worse yet be like me and not have a clue what to make. Well I have the answer for you whether you’re a meat-eater, a pasta lover or are gluten-free, I have the perfect dish for you. 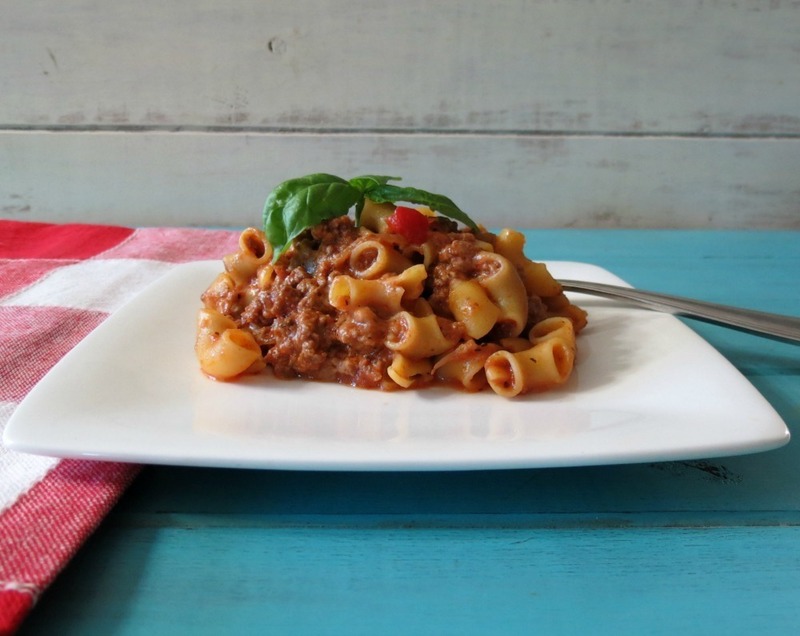 Let me introduce to you a childhood recipe that my Mom used to make all of the time and it was my sisters favorite, my healthy Quick and Easy Goulash. This dish is really a snap to put together. I had dinner on the table in about 20 – 25 minutes. I originally was going to make homemade pasta sauce, but due to the fact I didn’t have any canned tomato sauce or diced tomatoes, I went for second best which is a jar of pasta sauce. For my sauce I used Whole Foods Roasted Vegetable Pasta Sauce. I love it and it’s only 35 calories for a 1/2 cup. Not to bad for sauce. 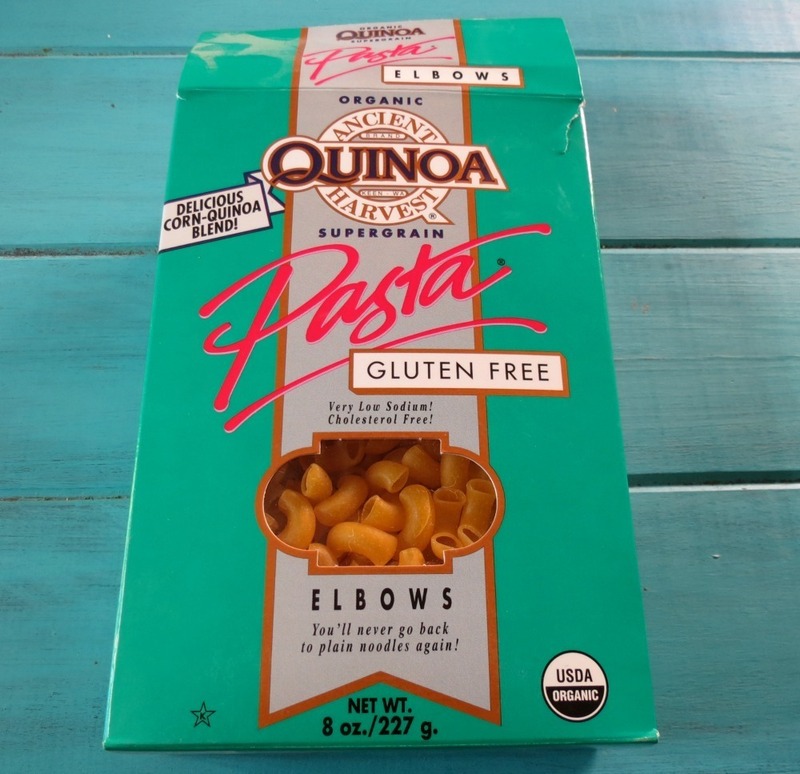 For the pasta, I used Quinoa Elbow Noodles. I love quinoa and whenever I get a chance to use it, I do. My Husband on the other hand hates quinoa and won’t touch it with a 10′ pole, but he ate my dinner. He said it was really good and had no clue what so ever it was quinoa. ha ha I got him again. Score for me!! I used the brand Ancient Harvest. It’s 205 calories per serving and 4 grams of fiber and 4 grams pf protein. However you could use whole wheat or regular pasta if you like. 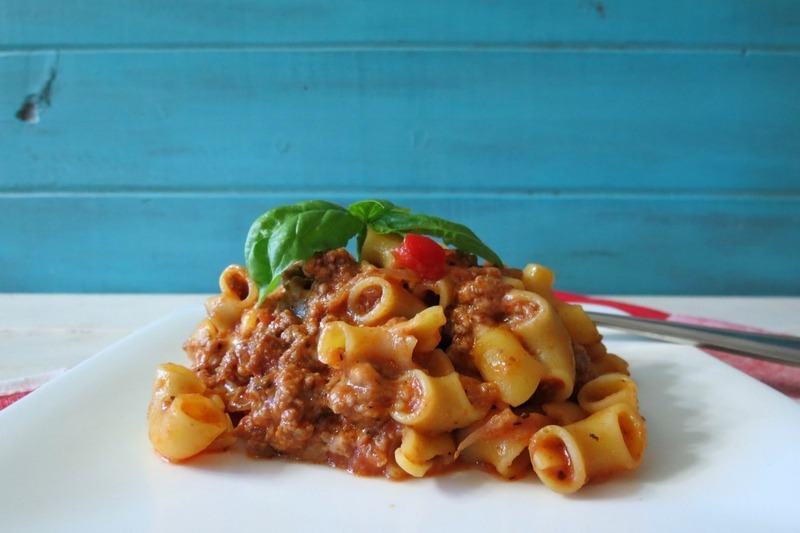 Just go for a thick pasta noodle like elbow, spirals or penne pasta. To make all I did was cook lean ground beef with onions and garlic for a little extra flavor and when the beef was done I added my sauce to it. Cooked it until the sauce became nice and warm. I mixed my meat sauce with the pasta, gave it a nice mix and then added a 1/2 cup of lite mozzarella cheese. I carefully stirred it until the cheese was melted. Popped it on a plate and served. My Husband ate it so fast that I didn’t even finish photographing my dish. I don’t blame him, it was so good! Hot, cheesy, hearty and perfect for a chilly evening. 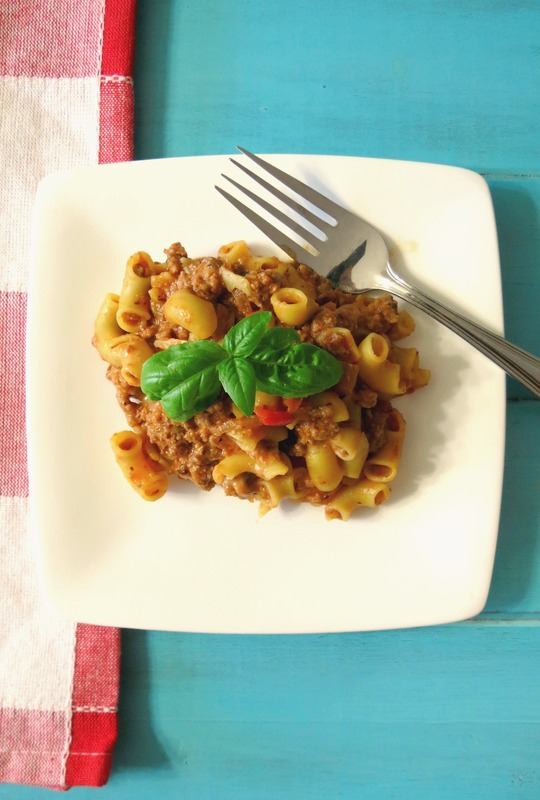 A healthy, hearty, cheesy Italian pasta dish made with quinoa pasta, pasta sauce and mozzarella cheese. Cook pasta according to directions; Once cooked, drain, pasta and add back into pot. 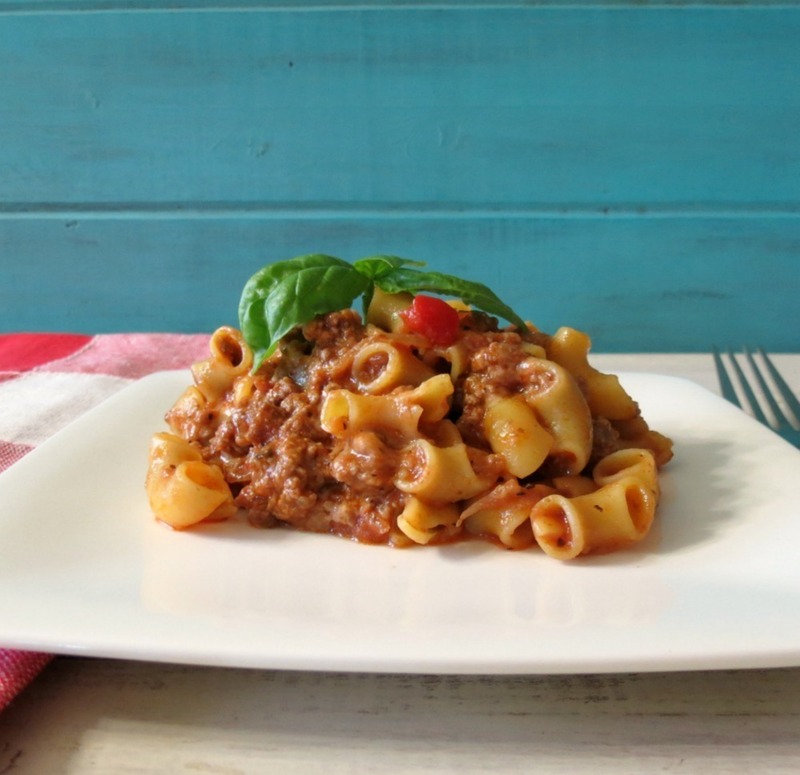 If you are waiting for the beef sauce, add a pinch of olive oil to the pasta so it doesn't stick. In a large skillet add ground beef, onion and garlic. Cook until ground beef is no longer pink. Drain the fat. Add pasta sauce over beef and cook until warmed. Add sauce into pot with pasta. Stir well. Add cheese; mix until cheese is incorporated. I hope you have enjoyed this quick and easy dish. It really is so good and so darn hearty. One heaping cup with a side salad filled me up! I love dishes like this. Sometimes I tend to go pretty light with my meals due to snacking, but this dish had me full and there was no nighttime snacking for me. Yah!! Well my Friends, time to get rolling. I need to do some recipe planning so I know what I can make for you next week! Have a great weekend! Hope you get out there and enjoy the Fall. You’re such a trickster Jennifer, if your husband only knew! 🙂 I’m so happy to learn about the pasta sauce and the quinoa noodles, wow, I’ll definitely have to check these out. Isn’t fun how certain dishes can remind us of days gone by? I bet your goulash stirs a ton of memories. Thanks for sharing! I am sure my Husband knows now if he read my post! lol However he has’t said anything. I really do like quinoa noodles, you can’t tell the difference at all. The only difference I can tell is they turn out fatter than regular pasta which is ok by me! 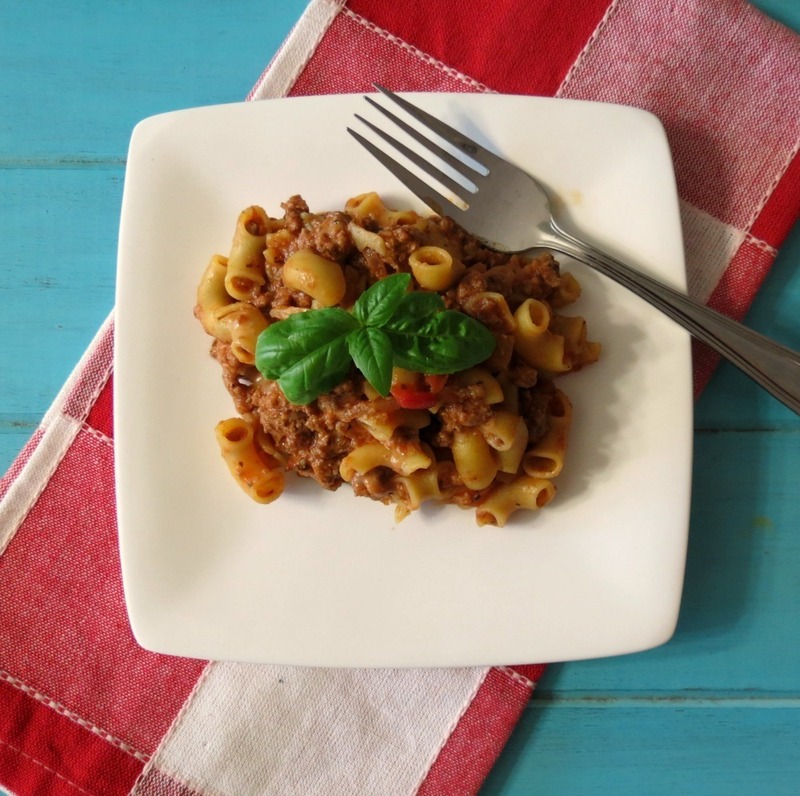 Goulash is one of our favorites and I don’t make it nearly enough! I think it’s one of my families favorites! I made this last night funny enough (vegan style with different ingredients), but we call it chili mac. I love the name Chili Mac I should have called mine that! Isn’t is such a great and hearty meal? So how about I have never had goulash?! This looks tasty and comforting!